It’s been four days since the NFL made the decision to suspend Ray Rice indefinitely and the Baltimore Ravens terminated his five-year contract for domestic violence committed against his then-fiancé, as shown in graphic detail in the newly released video of the crime. Each year in the United States, 12 million women experience domestic violence. That means that on February 15, 2014, the same day as Rice’s assault, this was one of 32,877 instances of abuse. Whether you are picking up the paper, watching the news or following the conversation on Twitter, it’s clear that all of us are searching for how to respond, for language to talk about these crimes, to express our feelings, and for what to do next. What we know for sure: it’s time for change. And we know that change will only come when we all work together. 1 in 4 women experience severe physical violence from an intimate partner at some point in their lifetimes. (Source: CDC) Over 15 million children witness violence in their homes each year. Most incidents are never reported to the police. In most cases, a video doesn’t exist. And it shouldn’t need to. Domestic violence encompasses sexual, emotional, economic and psychological violence. Physical scars are only one part of what survivors may be left with following violence and abuse. More information on the signs and effects of these kinds of abuse can be found here. Domestic violence is an intentional act. It is rooted in power and control—the desire for one partner to dominate and/or exercise control over their partner. And it’s a learned behavior, meaning that abusers see violence practiced in society, or practice it themselves, and come to understand that it is a means of maintaining power and control. The reasons someone remains inside of a domestic violence situation are complex—literally life and death. Our focus shouldn’t be on why survivors stay, but why abusers don’t stop their violent behavior. Just because some survivors don’t leave their abusers—or don’t come forward in the first place—doesn’t mean the abuse didn’t happen. Thousands of women die annually from domestic violence, many while attempting to leave the relationship. It is her choice to leave, and only she knows the safest moment to do so. It is our role to support her in this process. 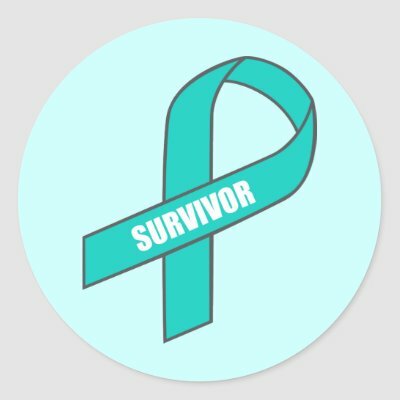 Support survivors. This takes the form of bearing witness to someone’s story, of believing them without judgment. It also takes the form of being an active, engaged community member. Help dispel the myths that blame survivors and excuse perpetrators—myths like she was “asking for it” or that “it’s her fault.” Or that because a victim of domestic violence didn’t leave her abusive partner, that she wasn’t doing everything she knew how to do to be safe. Learn these facts. Having this knowledge is the foundation. Share it widely. Domestic violence—any kind of violence and abuse—is difficult to talk about, but we still need to break the silence. Nearly 64% of Americans say that if we talk more about domestic violence and sexual assault, it would make it easier to help someone. This is a significant opportunity to open the door to these conversations and turn up the volume. Join the movement to say NO MORE to domestic violence and sexual assault. NO MORE is a transformative public awareness campaign that seeks to unite our entire society—advocates, companies, legislators, survivors and the public—around the commitment to end—yes, end—domestic violence and sexual assault. The celebrity-driven PSA campaign provides powerful examples of the victim-blaming myths and excuses we so often hear, and the NO MORE symbol brings recognition to these issues and offers a beacon of hope. Share the campaign. Engage men to be part of the solution. For the men in our community, we encourage you to stand up and be part of the solution. Take the pledge to say NO MORE and encourage other men to do the same. Talk with men and boys in your life about healthy relationships and the importance of respecting themselves and others, including women and girls. When we don’t speak out against domestic violence, we allow it to continue. Changing the conversation also means that we must examine how we, as a society, respond to this violence. The Atlantic City police and prosecutor’s response to the Rice case raises questions about how the criminal justice system approaches domestic violence—something the state of New Jersey is currently investigating as part of its review of the case. For their part, law enforcement agencies and prosecutors must treat domestic violence as seriously as other crimes. They must make every effort to ensure survivors’ safety and to hold offenders accountable to the fullest extent possible.